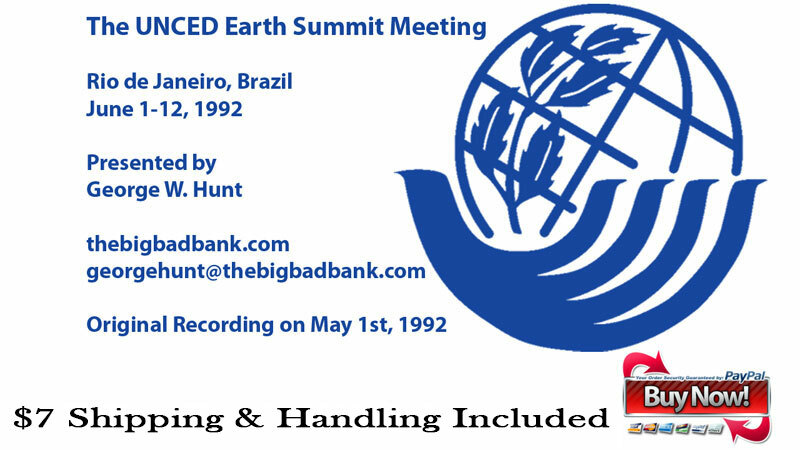 George Hunt introduces the United Nations Conference on Environment and Development (UNCED) which takes place in June of 1992 in Rio de Janeiro. This video will show strong evidence that the persons running the UNCED Earth Summit are actually setting a net to place the power over the Earth and it’s people into the hands of the World Order. We also learn about some events leading up to the Earth Summit and people involved behind the mask.